I couldn't be happier with the three frames I've purchased so far. I will be coming to you for everything from now on. 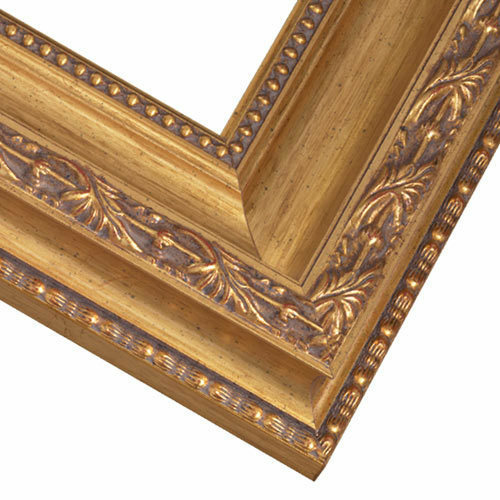 You won't regret using this site for your framing needs! Absolutely, could not be happier with my results. Top quality, very similar to online image. Great product quality and style for the price! I will use Pictureframes for all my Franing needs. These shots look like they came from a museum! The finished pieces turn out incredible. Thank you for sharing them with us! 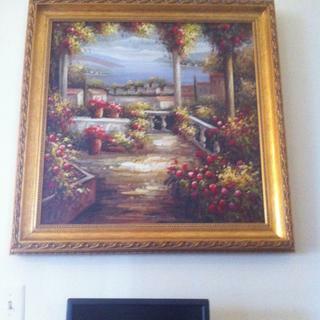 This frame provides a great enhancement for paintings anywhere from 12 x 16 to 18 x 24. It has great texture and color, and I really like the way it brings added "weight" to some of my paintings. 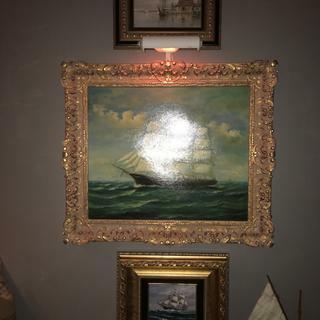 I bought a pair of paintings from the early 1900s that originally hung in a very famous (infamous?) Texas whorehouse. They have been cleaned, restored, and framed. The frames really compliment the paintings. The paintings now hang in a very prominent place in my Nevada home, The E Bar D Ranch. Perfect for the artwork I needed to frame, really makes it pop! Was also easy to assemble and hang. Beautiful, well constructed frame. Arrived quickly. Could not be more pleased. Just a suggestion: use a smaller package, please! Hello Anne! Thank you for your awesome comment! We are very pleased to hear that we have a satisfied customer. Our legendary packaging contributes to the order arriving in excellent condition. UPS requires that we add 4"-5" of space around the merchandise as a way to protect the merchandise in case of any impact. We hope you understand our position. Thanks again for shopping with us; we know that you have other choices, so we really do value your business. If you ever have any questions, just shoot me an email. Have a great day. Happy Framing! 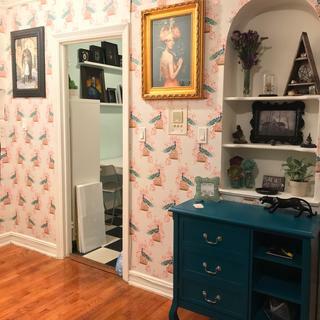 I am redoing my dining room and bought a canvas print that I needed to frame. I bought this frame and it couldn't be more perfect! It is exactly what I was looking for and the quality is outstanding! I will definitely be buying all my frames from her from now on! I love this chunky golden beauty on some of my smaller paintings. Really makes them glamorous! After studying several of your frames we selected the Pax 11 feeling it would best present the print without being too dominant or fading into the wall. We were not disappointed. The Pax11 presents the print beautifully. 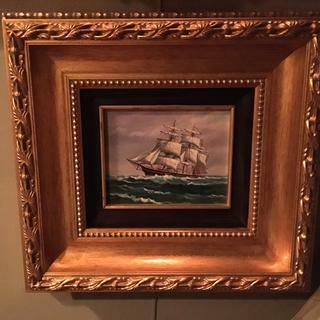 I purchased a beautiful wooden frame in gold. It is lovely and makes the picture really stand out. 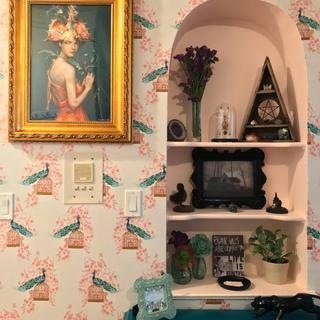 The picture was in the bedroom at first, but I felt it should be seen in a better light. It is now hanging over the living room fireplace. It just looks so comforting und beautiful. It brings a smile to my face every time I look at it. The frame made the picture! 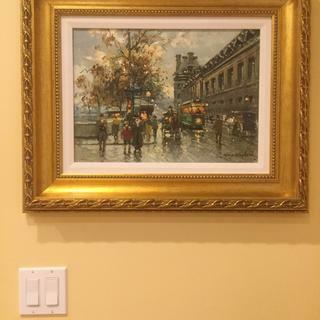 This shows the beautiful frame I bought and the picture. It brings a smile to my face. Professional cutting, assembling and packing. Fast shipping. Very reasonable price with satisfied quality. Highly recommended. Professional cutting, assembling and packing. Fast shipping. Reasonable price. highly recommended. 1st time l ever framed a canvas print and it was very easy to do. 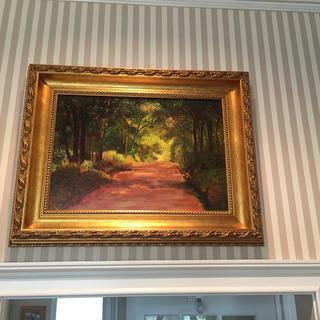 The frame looked great and made the painting really stand out! but little defects at the corner junction area. Hi Peter, thank you for your feedback. We'd love to have the opportunity to investigate the cause of this and make it right for you. Our framing experts are happy to help you Monday-Friday 8am-7pm eastern standard time. They can be reached at 1-800-332-8884. Thank you again and have a great day! replacing frames from house fire. liked the smaller frame ordered recently. The selection and quality of picture frames available from your company is outstanding and fits the variety of pictures we choose to frame. 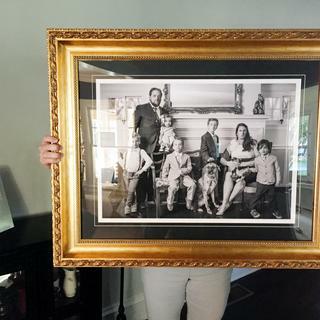 The size of the picture warrants a 3 plus " frame. This frame caught my eye. It looks lovely. I am sure it shall look lovely with the picture in it. Looking forward to receiving this frame. I needed this style with a deep rabbet. I needed something to look very rich because of the artwork going inside it. The PAZ11 is a well built heavy frame that shows my oil paintings well. I have ordered this frame multiple times. Another reason I order from this company is the shipping. I have ordered approximately 15 frames and not one frame has ever been damaged in shipment because of the packing, the box design and the care from the staff about getting my shipment to me without damage. Thank you for running a first class company and caring about quality and customer satisfaction. Needed a pretty gold frame for a portrait on canvas. Thought this frame was appropriate and would look good with my picture. Also it was deep enough to hold a canvas stretched on a wooden frame of 3/4". 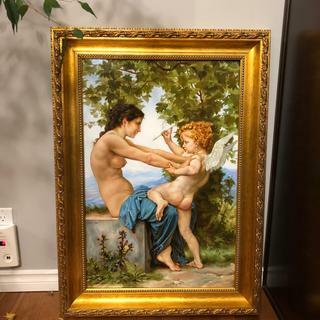 It is a classic European style frame that should complement my painting nicely! I chose this frame because it will complement the paintings. For canvas print going in formal dining room. I bought it before several times. I like the width, look and weight of this frame. Possible to frame a 16" X 20" wrapped canvas oil painting with a canvas depth of 1 and 5/8"? Want to expand the outside perimeter of the frame by 1 1/2" to 2"
BEST ANSWER: I am not quite sure if understand your question. I will just share the technique that I use with all of my paintings. I have purchased Z clips (from another supplier online) in every size so that I can accommodate any depth canvas. Yes, if the frame is not deep enough for the canvas, it will protrude out the back of the frame. This frame will work for your canvas however, you will want to add a set of canvas clips as the canvas will stick out of the back of the frame. The canvas clips will you to secure the canvas inside the frame. As always, happy framing! Thank you for reaching out to us. Please enter the size based on the 'inches' of the artwork. Please enter the 52" in the first box listed a 'width'. Then enter the 40" in the second box. We are more than happy to assist you with placing the order. If you need assistance please call our Customer Care Department at 1-800-332-8884. One of our knowledgeable Advisors will be glad to give you more guidance. Have a fantastic day! Happy Framing!